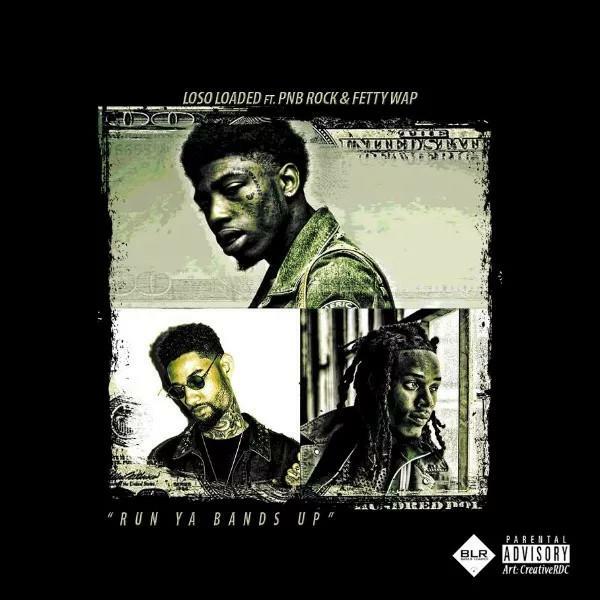 Fetty Wap and PnB Rock hop on Loso Loaded's new track. Loso Loaded is keeping himself in good company. After sharing his 21 Savage-featuring track "Extortion," he's now come through with a track featuring the duo behind this summer's Money, Hoes, Flows mixtape, Fetty Wap and PnB Rock. As they did across that project, Fetty and PnB are a united melodic force on "Run Ya Bands Up," creating the kind of aspirational street record they're known for. Loso Loaded's upcoming mixtape Bomb First mixtape is set to feature Lil Yachty on top of Fetty, PnB, and 21 Savage, so there should be plenty more hits to come. Look out for it very soon.